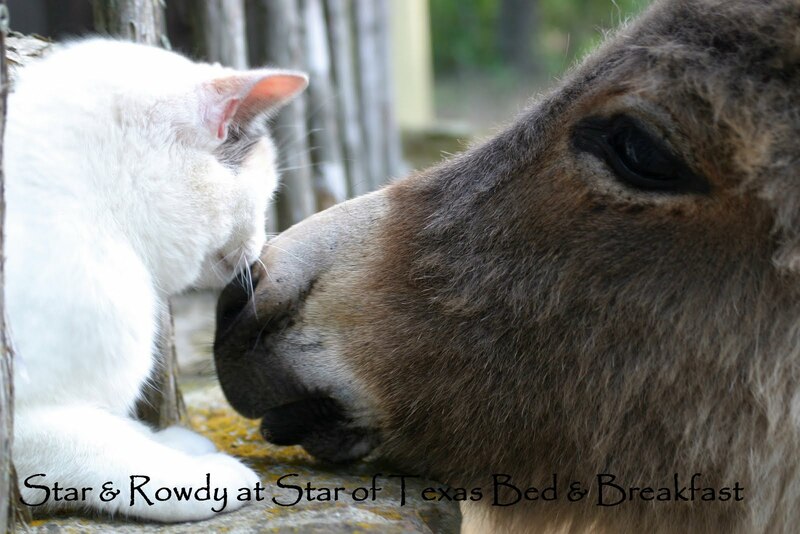 This is a great shot of Star the kitty and Rowdy the mini donkey exchanging a little nose rubbing. They are the guides for our guest who take the nature art trail when they stay with us. The mini donkeys love to have their noses rubbed and now turn their heads up to me for a kiss each time I see them. Come visit us and see our adorable and lovable pets.